November is traditionally the month of giving thanks for our many blessings. From Veterans Day to Thanksgiving to the start of Advent, this is a month when we remember all the sacrifices and joys of camaraderie, family and friends. What better time to publicize the winners of the 2018 Silver Angel Awards presented by John Knox Village to area seniors who have given their time, talents and efforts to help a charitable cause. 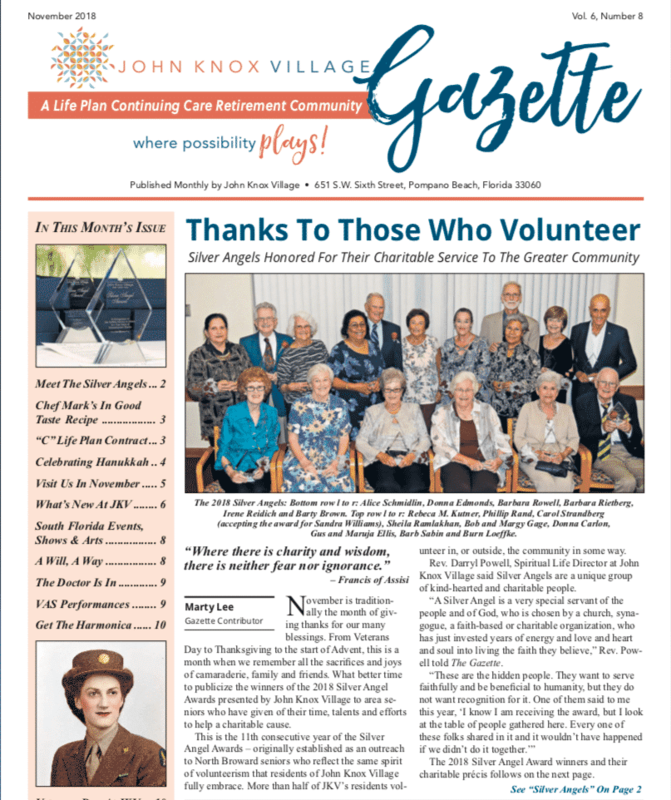 This is the 11th consecutive year of the Silver Angel Awards – originally established as an outreach to North Broward seniors who reflect the same spirit of volunteerism that residents of John Knox Village fully embrace. More than half of JKV’s residents volunteer in, or outside, the community in some way.